It is always interesting to find that some book or article one has written is mentioned in some footnote in someone else’s work. THIS, however, was a bit overwhelming, although also, I must admit, great fun. 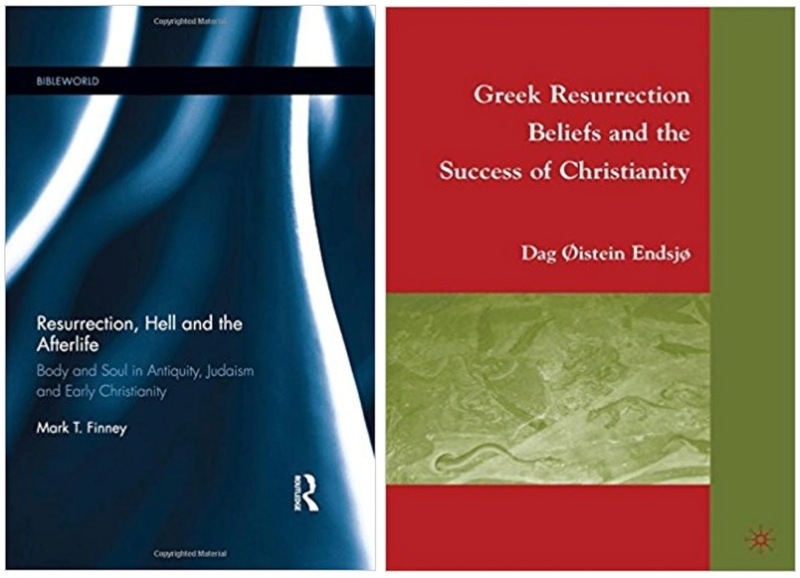 In the recent book Resurrection, Hell and the Afterlife by Mark T. Finney, my own book Greek Resurrection Beliefs and the Success of Christianity is not only referred to: It is made the very topic of a whole subchapter of eight pages, in addition to me being referred to throughout the book, more than any other authority. Moreover, Finney supports all my claims completely, both on the Greek beliefs in physical immortality and resurrection, on the idea of immortal soul never being important among the Greeks, my arguments about Jewish resurrection mostly not including the physical body, as well as the importance of all this for why the Greeks accepted Christianity in general, and in the form where the emphasis was on the immortality of the flesh. For more about my own book, Greek Resurrection Beliefs and the Success of Christianity, please see here. Når ble alt bare vårt? Likestilling bare for ett kjønn?